Danny Damien lives in Carbondale and attends SIUC as time and life permit. He has a vivid interest in Jung’s theories of symbol and myth, and relating these to popular culture and contemporary life. The Red Book has been an object of close study for him and his ideas about it and the experience of active imagination have part of been exercises he is developing. He works with WSIU’s Alt News program for PBS. He was co-leader of the AIPCT study of Jung’s Red Book December 2018-January 2019. David Denneny has been an M.A. at Southern Illinois University Carbondale since fall 2016. His B.A. in philosophy was taken at the Eastern Washington University. He studies the classical American pragmatist tradition with an emphasis on philosophy and economics. David also has a tremendous interest in the German Idealist tradition. He defended his M.A. thesis in November of 2018, entitled “Cultural Naturalism and the Market God,” a study from a Deweyan perspective of how market economics has become a full-fledged “religion” in recent decades. 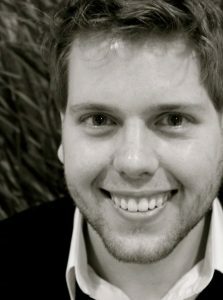 Robert Fiedler is a Ph.D. student in communication studies at Southern Illinois University Carbondale. He completed both his B.A. (2009) and M.A. (2015) in philosophy from SIUC, with a thesis on Bergson, the idea of “person,” embodied experience and time. His interests lie at an intersection of history, philosophy, communication, and creativity. He has taught in the areas of general and applied ethics, comparative religions, history of philosophy, and oral communication. His 2015 paper, “Self and Person: Distinctions in Bergson,” was published as a chapter to In the Sphere of the Personal: New Perspectives in the Philosophy of Persons (Vernon Press, 2016). 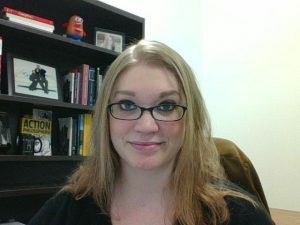 Leslie M. Murray is a Ph.D. student in Philosophy at Southern Illinois University Carbondale. His M.A. in philosophy was completed in spring 2018 with a thesis on the philosophical ideas of Gifford Pinchot on conservation, democracy, and ecological flourishing. He was a recipient of the prestigious McNair Fellowship as an undergraduate at SIUC with a thesis on the philosophical principles of evolution, general relativity, and time. 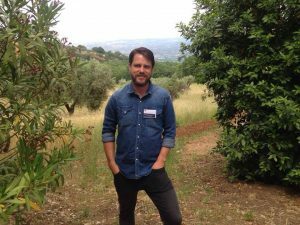 He has presented papers at several national and international meetings and has published a translation (with Randall Auxier) of Bruno Latour’s “What Will You Gain If You Save Your Soul but Lose the Earth?” in Philosophy without Borders. Marc M. Anderson is a Canadian philosopher living in Montreal. His PhD in philosophy (2011) is from the Katholieke Universiteit Leuven (Louvain), Belgium. His philosophical effort, inspired by the philosophies of Royce and Whitehead, aims at developing an applied metaphysics, “Hyperthematics,” showing how value is realized and destroyed in experience, and how it can be deliberately created. Related interests include the application of the above to peace and conflict, most recently with an article entitled “Building the Great Community: Assessing Josiah Royce’s War Insurance Proposal in Light of the Collective Security Ideal of the League of Nations and the UN,” Canadian Military Journal (2016). Three articles on value in a military context are forthcoming in The Pluralist. His book Hyperthematics has recently been accepted by State University of New York Press and will appear early in 2019. Odessa Katrina Colombo is a professional philosophical coach, certified well-being coach and independent scholar. She earned her B.A. in philosophy (2008) and M.A. in philosophy (2011) from Southern Illinois University Carbondale. Her research interests include classical American Philosophy (James and Santayana), history of philosophy, philosophy of faith, cross-cultural philosophy and metaphysics. Currently, her research focuses on the epistemology of faith. She holds a well-being coach certification (2014) from the Anthropedia foundation. She practices in St. Louis, Missouri and Southern Illinois area. 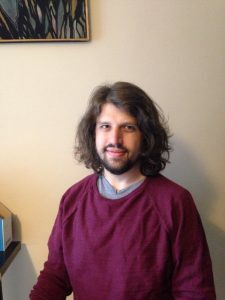 Matthew Z. Donnelly completed his Ph.D. in philosophy at Southern Illinois University Carbondale in fall 2018. He holds a B.A. in philosophy from the University of Notre Dame (2007), and an M.A. in philosophy from Boston College (2013). He studies the philosophy of time and his dissertation defended the idea that time is nonlinear. His areas of specialty include metaphysics, ontology, continental philosophy, and the philosophy of language. Matthew’s philosophical method is aggressively pluralistic, bringing disparate philosophical traditions and perspectives into conversation. He teaches at John A. Logan College in Carterville, Illinois, and also at Shawnee Community College, Ullin, Illinois. Nicholas L. Guardiano is research specialist and visiting lecturer at Southern Illinois University Carbondale. He writes on the philosophy of nature, Transcendentalism, the Hudson River School, and other American philosophers and artists. He is author of the book Aesthetic Transcendentalism in Emerson, Peirce, and Nineteenth-Century American Landscape Painting (Lexington Books, 2017). 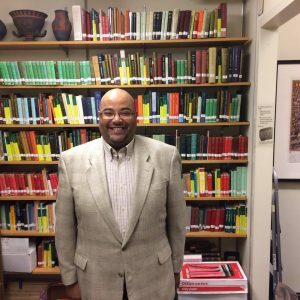 Myron M. Jackson is the Besl Chair of Ethics, Religion, and Society at Xavier University in Cincinnati. He specializes in process and continental philosophical traditions and philosophical anthropology. He holds a B.A. and M.A. in Political Science and an M.A. and Ph.D. in Philosophy from Southern Illinois University Carbondale. 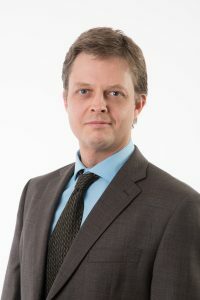 His current research focuses on ironic relations at the heart of American exceptionalism, along with the influence of European pragmatism in the works of Peter Sloterdijk and Bruno Latour. 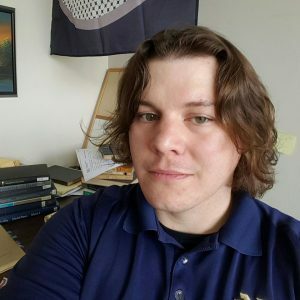 Jared Kemling is a tenure-track faculty member at Rend Lake College where he teaches Philosophy. 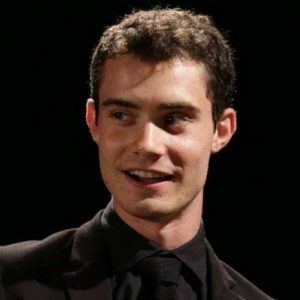 Jared received his PhD in 2018 from Southern Illinois University Carbondale, writing a dissertation on Ernst Cassirer’s philosophy of symbolic forms and the idea of the person. His research interests are in German Idealism, Process Philosophy, Philosophical Anthropology, Philosophy of Culture, and American Pragmatism. He is an editor for the journals Dewey Studies and Eidos: A Journal for Philosophy of Culture. His current project is an edited volume to be reviewed by SUNY press entitled The Cultural Power of Personal Objects: Traditional Accounts and New Perspectives. 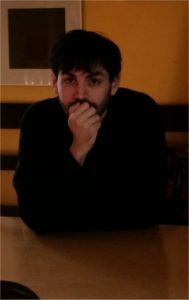 Eli Orner Kramer is a Visiting Professor of Philosophy in the Philosophy of Culture Department, Institute of Philosophy, at the University of Warsaw in Poland. 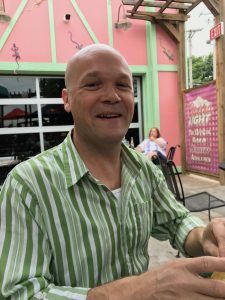 His Ph.D. in philosophy was completed in 2018 at Southern Illinois University Carbondale. His work has appeared in journals such as the Philosophy of Education Yearbook, The Journal of School and Society, and as an introduction to a new anthology on Richard Rorty entitled, Rorty and Beyond (Lexington Books, forthcoming). He co-edited the volume Philosophical Proposals for the University: Toward a Philosophy of Higher Education (Palgrave Macmillan, 2018). His research interests include American and European Idealism, Early American Philosophy, Philosophy of Culture, Process Philosophy, and Metaethics. 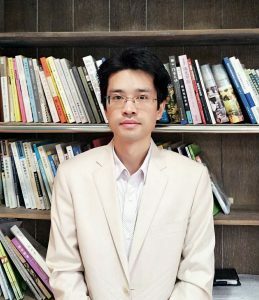 Cheongho Lee is visiting professor at Sejong University in South Korea. 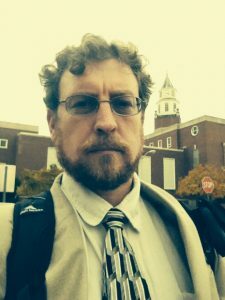 His second Ph.D. in philosophy was completed in 2018 at Southern Illinois University Carbondale. He holds a B.A., M.A. and PhD in ethics education from the Seoul National University. His quest for normativity led him into the writings of Charles S. Peirce, convinced that reading Peirce would advance his lifetime study about the source of value and the connection between theory and practice. He investigates the relationship between knowledge and the normativity in Peirce’s theory and also in American pragmatic tradition, including Josiah Royce and C.I. Lewis. 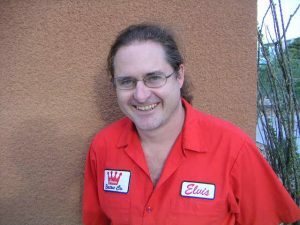 He designed the AIPCT website and continues to assist with it. Brian J. Stanfield is an Instructor of Philosophy at John A. Logan College, Carterville, Illinois. 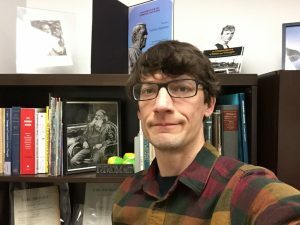 His research interests include the history of American thought, especially Emerson and the Transcendentalists, and process philosophy, especially Whitehead. His MA is in American Studies from Northwest Missouri State University, with a thesis on The Folk Process, as conceived and explained by Pete Seeger and other practitioners of folk music. Brian is currently writing a dissertation on the idea of genius in the philosophy of Emerson. David Beisecker is Associate Professor of Philosophy at the University of Nevada, Las Vegas. Beginning with Labor Day, he will be in residence at AIPCT intermittently during the fall and spring of 2018-19 as our resident fellow. Dave has just finished a term as chair of Philosophy at UNLV and is taking a well-earned sabbatical. His Ph.D. came from the University of Pittsburgh (1999) where he wrote a dissertation directed by Robert Brandom and developed an unnatural attachment to the philosophy of Wilfrid Sellars. He was among the group that founded the Sellars Society some years back. His long-term project on logic without appeals to truth functions and conditions is among the most provocative in philosophical logic today, employing a significant development of Peirce’s logic to loosen the borders of the region between thought, talk, and consciousness. 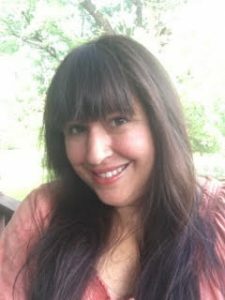 Gioia Laura Iannilli will be in residence at AIPCT in June and July of 2019. 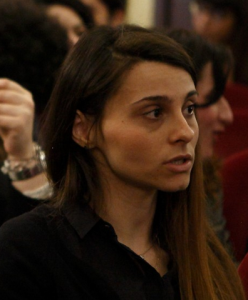 She is a PhD candidate in Aesthetics at the University of Rome Tor Vergata (Philosophical-Social Sciences). Her thesis addresses the modalities through which the implicit component of experience is constituted from a specifically aesthetic viewpoint. She holds a PhD in Aesthetics from the University of Bologna (Architecture), from which she holds an MA in Visual Arts and a BA in Philosophy. Since 2013 she has been a tutor for graduate courses in “Theory of Creative Processes” and “Everyday Aesthetics”in the Fashion Culture and Management program, Department for Life Quality Studies, University of Bologna. She has taught Aesthetics of Design at the University of Florence in collaboration with Tongji University (Shanghai). Her areas of expertise are Deweyan Aesthetics, Everyday Aesthetics, Aesthetics of Design, Aesthetics of Fashion, Aesthetics of New Technologies. She has authored a book, L’estetico e il quotidiano: Design, Everyday Aesthetics, esperienza (2019) on these topics. She is currently book review editor of Studi di Estetica – Italian Journal of Aesthetics, and member of the editorial board of the “International Lexicon of Aesthetics”. 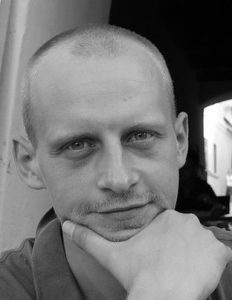 Przemysław Bursztyka is Assistant Professor at the Institute of Philosophy, University of Warsaw, and chair of the Department of Philosophy of Culture. 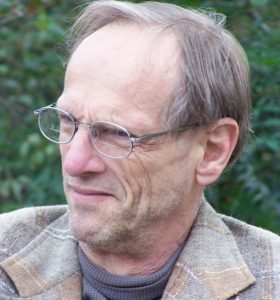 His main interests include philosophy of culture (including cultural studies) philosophical psychology, philosophy of human nature (especially apophatic anthropology) and philosophy of subjectivity, phenomenology, psychoanalysis, existentialism (Kierkegaard, Nietzsche), hermeneutics (Gadamer, Ricoeur) and aesthetics (especially phenomenological). Currently he is working on the aesthetic and ethical (broadly understood) aspects of the work of imagination. Co-editor and co-author of three books: Schulz. Między mitem a filozofią (Gdańsk 2014), Freud i nowoczesność (Kraków 2007 and 2008), Miłość i samotność. Wokół myśli Sørena Kierkegaarda (Warszawa 2007). He is also the author of the numerous articles and co-founder and editor-in-chief of the philosophical quarterly Eidos. A Journal for Philosophy of Culture. He has been in residence at AIPCT periodically from 2015 to the present. 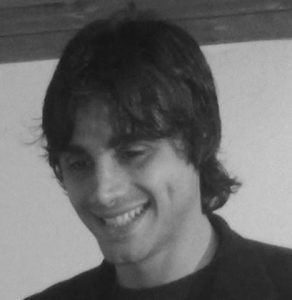 Claudio Paolucci is Associate Professor of Philosophy and Theory of Language at the Department of Philosphy and Communication of the University of Bologna, where he teaches Semiotics, Semiotics of audiovisual and musical languages, Philosophy of Language and Semiotics of Body and Perception. He is the scientific coordinator of the School of Advanced Studies in the Humanities founded by Umberto Eco, in both Philosophy and Semiotics. He has published three books and more than 70 papers on international journals. His main work is Strutturalismo e interpretazione (Bompiani, 2010, 510 pp.). He was in residence during October, 2018. His Residency Lecture is here. 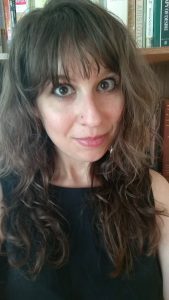 Jennifer Marra was the 2018 William S. Minor Dissertation Fellow sponsored by the Foundation for the Philosophy of Creativity, in residence from June 1 until August 1. She is a PhD Candidate at Marquette University. Her areas of specialization include German phenomenology, carceral studies, and the philosophy of humor. Her scholarship is influenced by the work of Angela Davis, Ernst Cassirer, Richard Pryor, and Carol Burnett. Her current project focuses on Ernst Cassirer’s philosophy of symbolic forms as a means of informing metaphysical and normative understandings of humor. She is currently serving her fourth term on the executive board of The Lighthearted Philosophers Society. Her residency lecture is here. She defended her disserrtation in spring 2019. 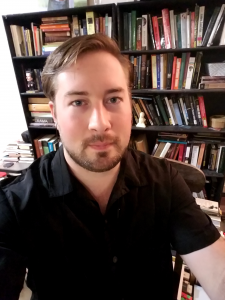 Thurman Todd Willison is a Ph.D. candidate at Union Theological Seminary, New York City. 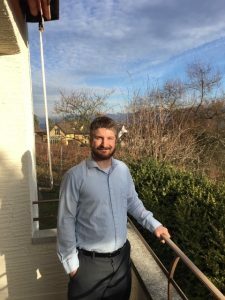 From August of 2016 until May of 2018 he was in residence at AIPCT and is currently writing a dissertation that examines interpretations of human dignity within personalist thought, interrogating the impact of varieties of 20th century personalism on how human dignity came to be defined in international moral discourse and providing a constructive account of how a viable personalist theory of dignity looks in light of contemporary ethical concerns. Charles Herrman is an independent scholar from Austin, Texas. He works extensively in formal ontology (especially with ideas in the vein of Peirce and Whitehead), axiology, the philosophy of history, law, and of culture, and also in logic and the philosophy of mathematics. His work at the AIPCT has concerned civilizational structures of Honor and Dignity. He provided a seminar in cultural ontology in June 2017 based on a book manuscript he is refining. His book on Neo-personalism is under review at SUNY Press in the SUNY Series in American Philosophical Philosophical and Cultural Thought. 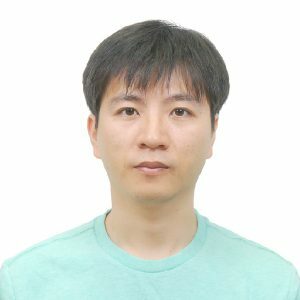 Xu Tao holds a Ph.D. in Philosophy from Peking University, China. He is now an associate professor of Philosophy at Central South University, China. He was a visiting scholar of the AIPCT from December 2017 to December 2018. 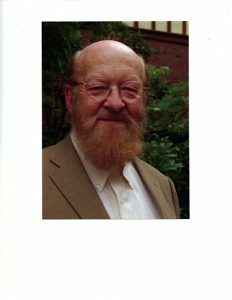 He has published two books on Dewey research and three other books, and participated in the Chinese translation of the collected works of Dewey. His main research interests are the American pragmatism, especially Dewey’s philosophy and Classical Pragmatism. 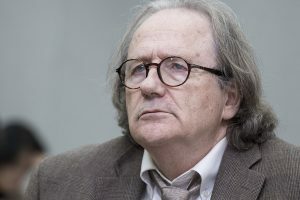 His work at the AIPCT is to carry out a wide range of philosophical studies based on pragmatism and naturalism, and write some papers in English. In the next two years he also plans to write two Chinese books: The Development of Dewey’s Philosophical Thought and Political Philosophy from the Pragmatic Perspective. 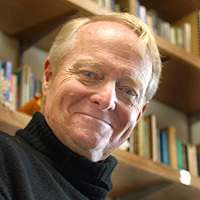 Douglas R. Anderson Doug Anderson ( is the Chair of the Department of Philosophy and Religion at the University of North Texas, which is home to the leading graduate program in Environmental Philosophy in the US. Previously Dr. Anderson has held professorships at Southern Illinois University Carbondale and The Pennsylvania State University (the “The” is quite important, we are informed). He is author of some good books, including Philosophy Americana (2006), and numerous articles. He is a prolific songwriter and performer of Americana music. His Ph.D. was taken at Pennsylvania State University at some point in the distant past, when he studied with Carl Hausman, Carl Vaught, and other luminaries of a by-gone and better age. He has dogs and cats, and very few people, which is how he likes it. He thinks Kris Kristofferson is probably smarter than you are, and definitely a better songwriter. 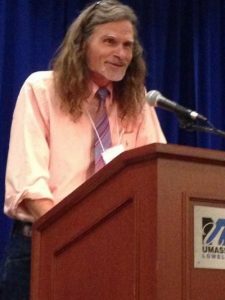 Robert S. Corrington is Henry Anson Buttz Professor of Philosophical Theology at Drew University in Madison, New Jersey. He is author of many books in philosophy, theology, semiotics, psychology, and experimental autobiographical and auto-ethnographical studies. 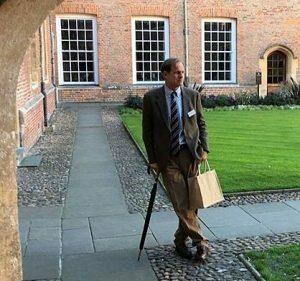 The annual international conference in ecstatic naturalism is dedicated to the study of Corrington’s ideas and the furthering of his kind of naturalism. As founder of the “ecstatic naturalism” movement, Corrington has integrated the ideas of historical and contemporary thinkers, from Plato, Spinoza, and Schopenhauer to Josiah Royce, C.S. Peirce, C.G. Jung, Wilhelm Reich and Justsus Buchler (among others) into a comprehensive and original perspective on all of the basic questions of being, non-being, and human experience. Joseph Margolis is, currently, Laura H. Carnell Professor of Philosophy at Temple University (Philadelphia, Pennsylvania). He has taught philosophy, continuously, for seventy years at a large number of universities in the United States and world-wide. He regards himself as a pragmatist, dialectically engaged with all the principal movements of Western philosophy, in search of an updated variant of pragmatism informed by twentieth- and twenty-first-century innovations. His primary premise holds that the human self or person is an artifactual transform of the primate members of Homo sapiens, uniquely achieved, evolutionarily, through the invention and mastery of natural language. He holds that pragmatism is demonstrably irreconcilable with strict forms of rationalism and transcendentalism. His recent research has centered on the formulation of a theory of culture bearing on problems of knowledge and understanding, the analysis of the human and natural sciences, and the treatment of human conduct and agency, interpretation, historied existence, and normativity. 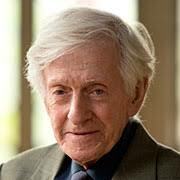 His recent books include Pragmatism Without Foundations: Reconciling Relativism and Realism (2nd edn 2007), The Arts and the Definition of the Human (2009), Pragmatism’s Advantage (2010), The Cultural Space of the Arts and the Infelicities of Reductionism (2010), Pragmatism Ascendent (2012), Toward a Metaphysics of Culture (2016), and Three Paradoxes of Personhood (2017).